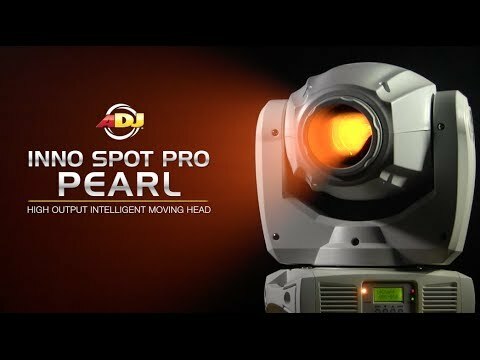 ADJ continues to push the boundaries of LED technology with the Inno Spot Pro Pearl White, a compact intelligent Moving Head with a bright 80W LED source. It features 6 rotating, replaceable gobos, 8 colors plus white, and separate gobo/color wheels. It’s hard edge beam is similar to a traditional halogen or discharge lighting effect with a fraction of the power draw (140W) or the hassle of changing out light bulbs (LED source rated at 50,000 hours). Considering purchasing the American DJ Inno Spot PRO Pearl White? Have questions? Ask people who've recently bought one. Do you own the American DJ Inno Spot PRO Pearl White? Why not write a review based on your experience with it. Seen a video for American DJ Inno Spot PRO Pearl White online or have you own video? 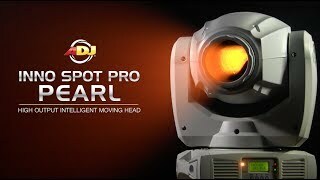 Check out American DJ Inno Spot PRO Pearl White on DJkit.com!